There are places in this world where a person should visit at least one time and enjoy the marvels of human architecture and of the things some talented people were able to build. Castles are feats of engineering that are still standing as a good reminder of the past and a nice way to be connected to the roots of the previous civilizations. Standing there in the midst of wonderful scenery, each castle has its own story and can be considered a monument of art. For the ones who love the fairy tales with kings and queens, here are the 10 most awesome castles to be visited in a lifetime. Situated in the heart if England, the Windsor Castle can be seen as rather famous and it is also the residence of the Queen in some periods of the year. The whole complex is about 900 years old and it was built with the purpose of guarding the entrance to London. 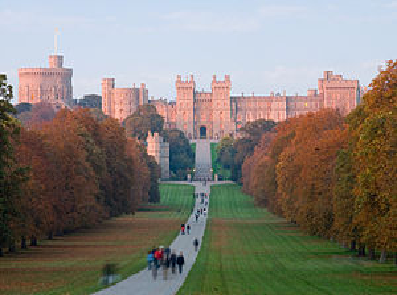 The famous River Thames flows nearby and the castle is near the hunting grounds of the royalty. Visitors are welcomed to visit the vast suites in a place that it is probably the largest castle which is still occupied in the modern world. The strong point of this castle is that it is situated away from the tourist frenzy. It is situated in the northeastern part of Italy and it belongs to the Strassoldo family. This family has it for more than 1000 years. As it is a private castle, it is normally not opened to the public except for the two spring and autumn exhibits which show the magnificent halls. Here the owners throw lavishing banquets and wedding ceremonies in a splendid looking place. The castle can host hundred of people and the park is often used for photo shootings and buffets. 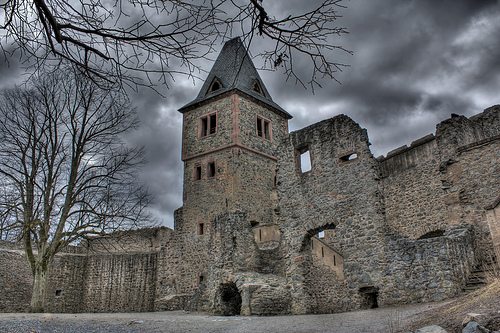 Situated in Darmstadt, Germany, this castle is where the famous novel Frankenstein unfolded its action and it dates from the XVIII century. It belonged to Lord Von Frankenstein, who was believed to be an alchemist and a controversial character. He discovered the Prussian Blue and was envied by many who might have created the story of the lab fabricated monster. The best time to visit the castle is around Halloween, as there is a theater show based on the novel. Situated in Romania, the building was first acknowledged in 1377. 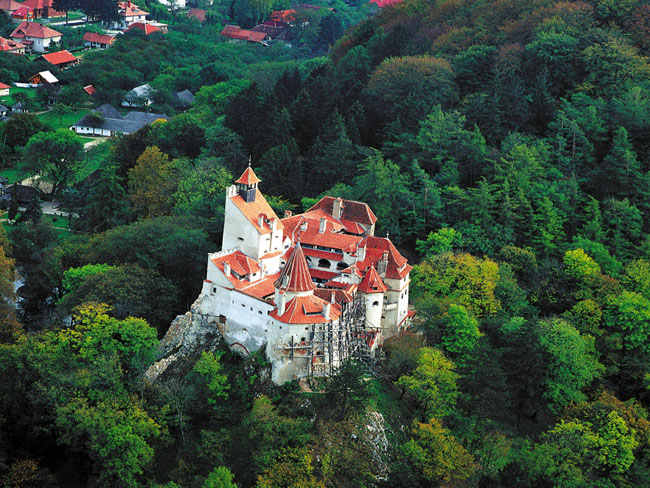 It is also known as the Dracula Castle and was established by the Teutonic Order. The castle stood to protect against the Otoman Empire and after the First World War it became the royal residence. This lasted until the 1948 when the Romanian royal family was exiled from the country. 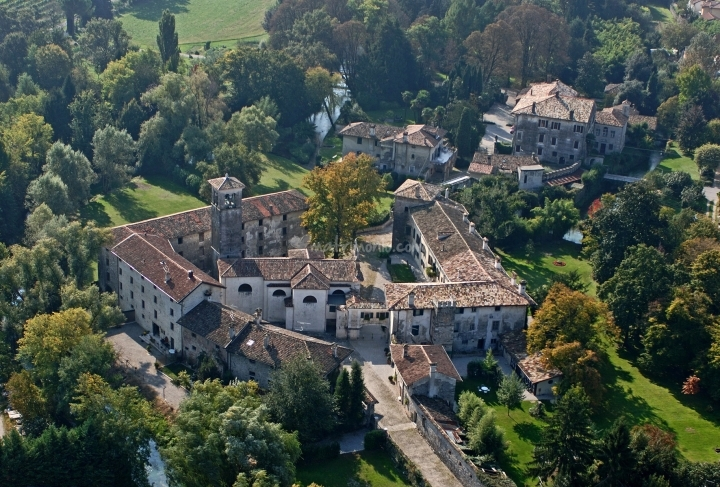 The visitors can see a very interesting museum holding mainly medieval art and visit the rooms of the castle. It is indeed the majestic piece of art of Louis XIV, whose construction has totally drained the state wealth at that time. The castle is at the outskirts of Paris and was the residence of nobility in the 17th century. The most famous spot in the whole castle is represented by the really impressive Mirrors Hall and also the gardens which still have that glorious touch of royalty. 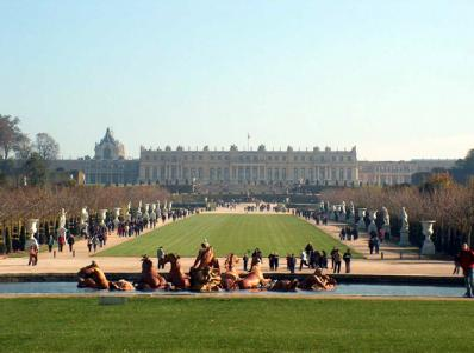 It was indeed the ideal place where Louis XIV and his noblemen could spend joyous times in a vast and luxurious place. 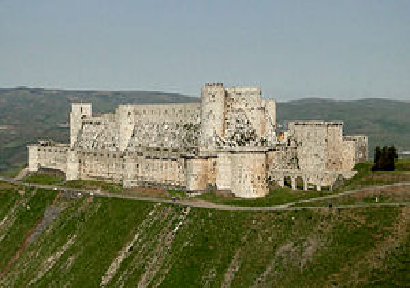 It is situated in Syria and it is known as one of the best preserved castles. It is part of a complex meant to protect Homs Gap. Together with Beaufort, Krak des Chevaliers was one of the linking castles of that time from the Middle East. It played a key role in the Crusades as it was given to the order of the Templier Knights by the Count of Tripoli. The castle can be considered an important piece of what it is known under the style military architecture and holds the best conserved frescoes of the Crusades. The castle is guarded by two thick walls and a large ditch. Also it has eight round-shaped towers and a chapel which was transformed later on into a mosque. 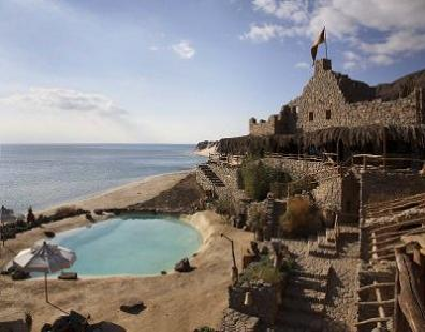 Facing the desert on a night cliff near Sinai, Castle Zaman has a rather simple architecture but a great view. From its premises, people can have a look at Gulf of Aqaba and four different countries. Even if it might look like an ancient ruin, the castle is rather modern and it was built to satisfy the tourist market. It can be rented for various purposes like parties, photo and film shootings, honeymoon and so on. It also has a private beach bathed in crystal waters. It is indeed a mighty tourist destination preferred by many people for fun and relaxation. 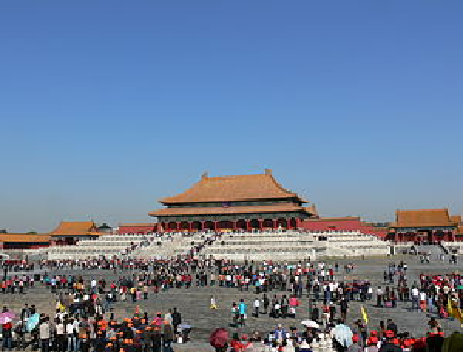 Known to be the palace of China’s supreme power for five centuries, The Forbidden City is one of the majestic sites from Beijing. It has four towers marking the four corners of the city. It can be described as a fort with has inside it a city guarded by one meter thick walls. The castle is the vivid testimony of the greatness of two Chinese dynasties Ming and Qing. Inside the palace there is a comprehensive library with priceless pieces of writing testifying for the history of such a respected civilization. 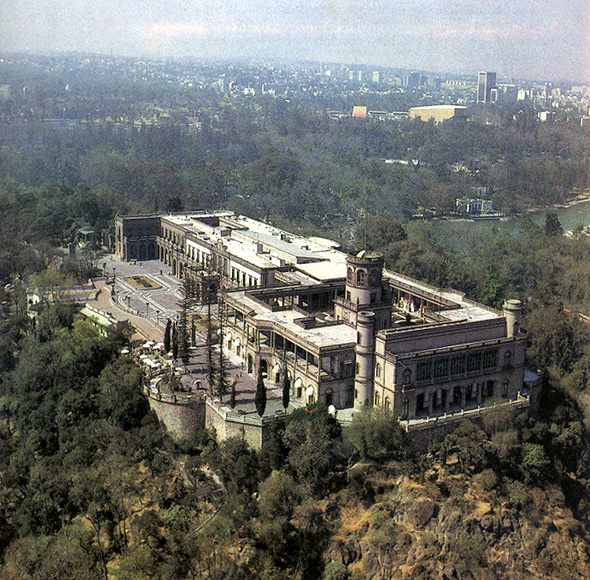 Situated in Mexico City, this castle is hosted by the Chapultepec Park. It was used as an imperial palace, observatory, museum and even a military academy. Presently it is used as National Museum of History, but also a famous place for film locations. This was initially the castle of the European kings and it was built in 1785 at the request of Bernardo de Gálvez. The place is rather nicely preserved as it has served as an institution of culture for so many years. Built by Akamatsu Sandori, this Japanese piece of architecture was initially used as a defense from the local shoguns. It is considered to be a great example of medieval architecture in Japan as it is situated on a hill which gives it a large perspective over the entire region. 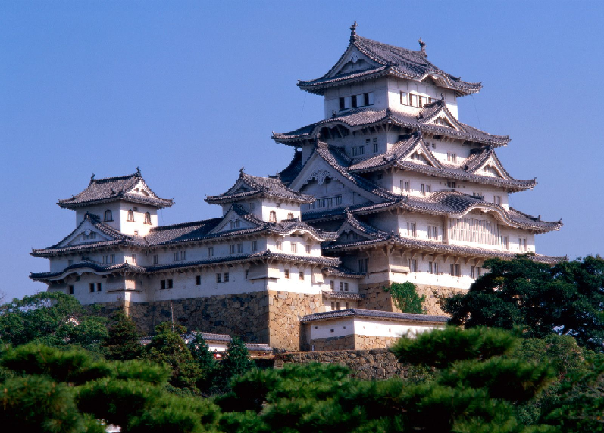 It has suffered improvement throughout the years and it is now the centerpiece of Himeji City. The nice white walls and path spiral around the castle which gave him the name of the ‘White Heron Castle’. From the spicy stories of the place, the more spectacular is that of the girl Okiku who is said to be haunting the castle looking for her lover.